Interested in applying to LGH? The Liberty Godparent Home (LGH) is a residential maternity home providing housing, education, medical care, and counseling for single, pregnant young women. LGH understands that women in crisis pregnancy situations face emotional, financial, legal, physical, and social hardships. By helping them deal with the difficulties, the LGH offers the necessary support to meet their needs. Also offered is a variety of Case Management Services, including Individual Service Planning (ISP), counseling services, psychiatric/psychological services as needed, and medical, educational and recreational services. Counseling services are provided on an individual and group basis. Weekly group sessions explore household dynamics, interpersonal relationships, personal goals, etc. 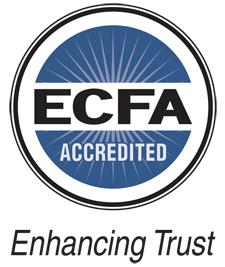 ECFA’s Seven Standards of Responsible Stewardship™, drawn from Scripture, are fundamental to operating with integrity. Accountability to God is vital, but people form their impressions of both people and organizations by looking at the outward appearances (1 Samuel 16:7).